Get, red, RED, ready for Day for Daniel 2018! 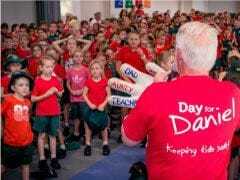 'Day for Daniel' is a National Day of Action to raise awareness about child safety and protection. Parents, carers and guardians are asked to start a conversation about personal safety.